I’m a huge fan of supporting local businesses when it comes to the bar scene, whether its fresh fruits, farm-house preserves or interior decorators. But one aspect I always try to achieve is to collaborate with a local brewer. Being located in the North West, I’m fortunate enough to have many a name on my door-step, from micro-breweries like Prospect, Dunham Massey and Tatton to the more established like Daniel Thwaites, JW Lees and Hydes. But one that, I have to admit, has become a firm favourite with me is Robinsons. I’m an ale drinker and will always give others a try, but there’s just something about this Stockport based brewer that makes me want to learn just that little bit more about it. So I did, and hears what I found out. 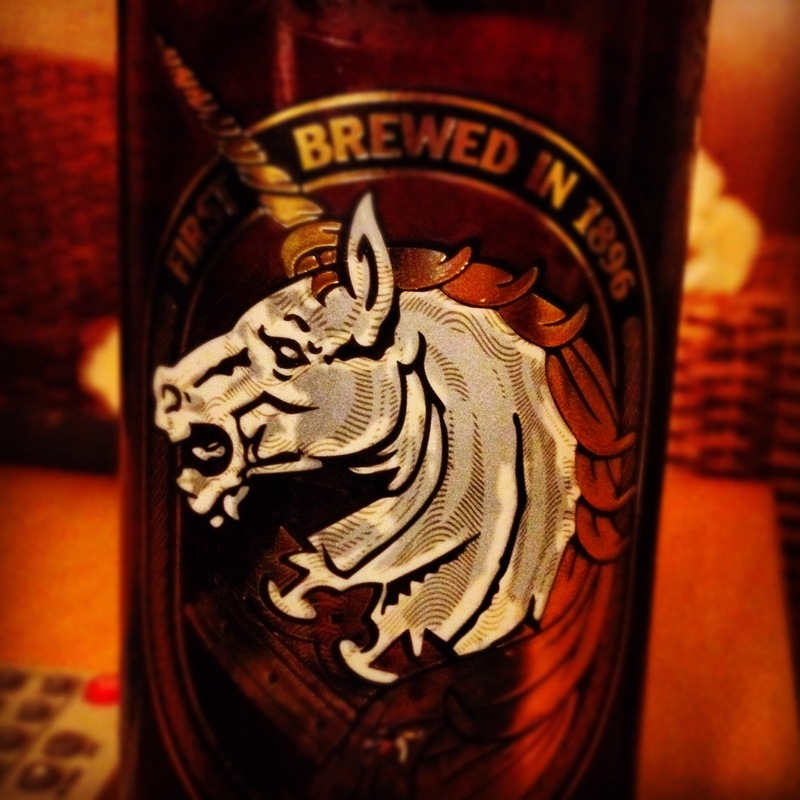 Today, the brewery stands upon the foundations of the Unicorn public house. A pub that back in 1826, began the legacy of William Robinson and his tenure as landlord. After 12 years at the helm, William Robinson purchased the pub from owner Samuel Hole, but after 11 years, moved to Heaton Norris after remarrying. William left the pub to his son George who in his time started to experiment with the brewing process – the first signs of Robinsons brewery. Once 1859 rolled around, William’s younger son Frederic took over from his brother George and expanded the brewing process by purchasing a warehouse located at the back of the inn. With this expansion, Robinsons ale were able to distribute to many pubs and inns in and around the Stockport area. To further control the output of their ale, Frederic bought twelve inns between 1878 and his death in 1890, all stocking Robinsons to the best possible standards. Heading into the 20th Century, Robinsons now had Frederic’s grandchildren joining the ranks. Their grandmother Emma (the widow of Frederic) owned the business after Frederic’s death and formed the Frederic Robinson Limited shortly before her death. With this, John, Cecil and Frederic joined Head Brewer Alfred Munton and their father and Emma and Frederic’s son William in building the company. In fact, as soon as William became Chairman, he had bought 7 pubs only 4 days later. Despite the 1904 Licencing Act that closed many pubs, rapid expansion dominated from 1908 with bottling commencing from a new building, new offices in 1913 and a new brewhouse in 1929. In February 1926, Robinsons also acquired Portland Brewery from Ashton-Under-Lyne and with it 42 pubs, 11 of which are still under the Robinsons banner. They also acquired Kay’s Atlas Brewery in Ardwick (which incidentally was sold 7 years later) which came with 86 pubs (13 still in the Robinsons name), 40 off-licenses and a number of Thornycroft waggons. Despite Williams death in 1933, and the outbreak of war, Robinsons never stopped and grew into Wales for the first time by naming The Black Lion as a Robinsons strong-hold in 1943. 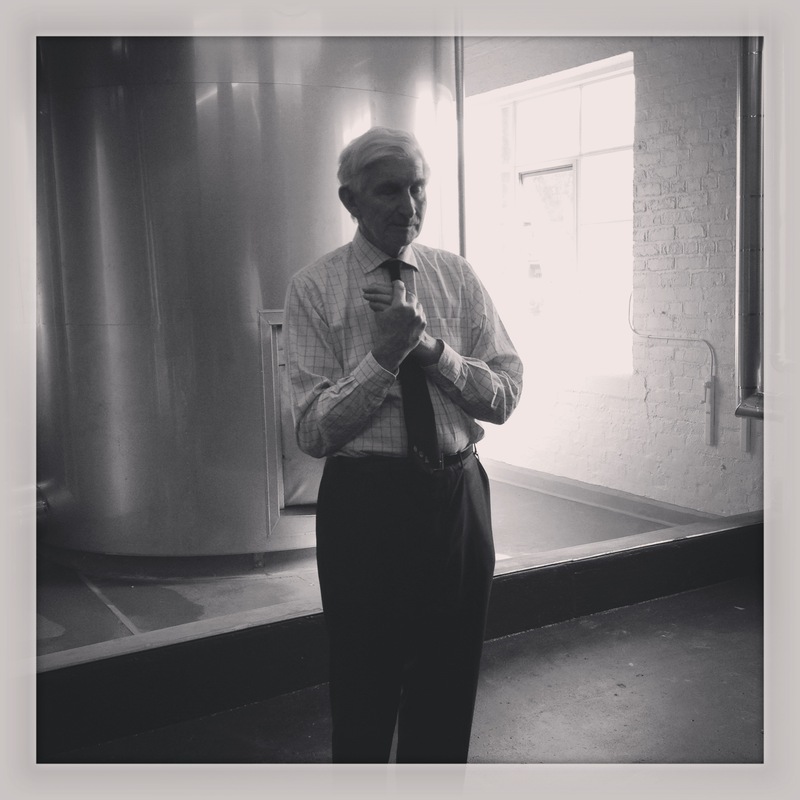 A knighthood in 1958 for John Robinson for his political and public services in Cheshire brought attention to the Robinsons on a wider scale, resulting in a new bottling and packaging centre in Bredbury in 1975. During this time, the 5th generations of Robinsons have joined as Robinsons bottle ales went worldwide with Old Tom and Unicorn leading the way. These days Robinsons are proud to acknowledge that there 6th generation is at the helm as there new Visitors Centre is opened alongside the new Brewhouse and worlds largest hopnik (strains and maximises aroma and flavour). They have a strong hold of 360 public houses across Cheshire, Lancashire, Derbyshire, Wales, Stoke and Cumbria and continue to offer up to nine draught names, seven seasonal, eleven bottled and six speciality. To create their impressive portfolio of beers though goes through a process like any other. The following is taken directly from the Robinsons website as i found that the process would be better understood as they have written it. Water used for brewing is drawn from one of two brewery boreholes up to 180 metres (600 feet) deep. This water is well suited for brewing but we make some adjustments to it for different beers, including reducing some of the hardness. After this has been done we refer to it as Brewing Liquor which is usually shortened to ‘Liquor’. Some borehole water is used directly for cooling (attemperating) the fermentations. This vessel holds 54,000 litres (11,900 gallons) of brewing liquor and supplies the whole of the brewhouse. This vessel holds 54,000 litres (11,900 gallons) of hot brewing liquor and supplies the whole of the brewhouse. The heating is provided very largely by recovering heat from the brewing process. The two main sources of recovered heat are the vapour condenser (recovering energy from the vapour given off during boiling the wort) and the wort cooler, which uses cold brewing liquor (which is thereby heated) to cool the wort prior to fermentation. Malt is made mainly from barley but also from several other cereals, especially wheat. The malting process mimics the natural germination of the grain in the field. Barley is steeped in water and then spread on floors until the shoot and rootlets start to emerge. It is then dried (kilned). The grain looks somewhat unchanged at the end of this process but a lot of the starch has been converted to sugar and the grains are more friable (crumbly). The extent of the kilning determines the colour of the malt and hence the beer, as well as influencing flavour. To some brews sugar is added. This may be done for flavour reasons or to increase the fermentability of the wort. We have the option of using unmalted “raw” cereals although currently these would only be used by a contract brewing customer who particularly requested it. Robinsons use a wet milling process. Malt is first sprayed with a small amount of water to soften the husk. After a predetermined and adjustable time lapse, the wet malt passes through the mill where it is crushed before mixing with more water at a carefully controlled temperature. The resultant mash is pumped to the mash vessel. This vessel can be used for two completely separate duties. Unmalted cereals can be cooked before pumping the resultant cereal mash into the mash vessel for mixing with the malt mash. Alternatively, the vessel can be used for dissolving sugars before pumping the resultant syrup into the copper. The mash vessel has dimpled heating panels in the walls and a patented system for vibrating the mash to increase the extract yield from malt and reduce oxygen levels. Very important changes take place in this vessel. Almost all the remaining malt starch is converted to sugar as a result of the naturally occurring enzymes, present in the grain. Also proteins, which would otherwise cause hazes and other problems, get broken down. Precise temperature control is very important. The lauter tun is a vessel to separate the liquid sugary wort from the solid remains of the grain so it acts like a filter. There is a slotted base through which the wort flows. Brewing liquor is sprayed onto the top (sparging) to rinse out all the extract. This tank stores the spent grains until a whole wagon load has accumulated. Spent grain is a valuable and economical source of food for cattle and in winter, demand can exceed supply in some areas of Great Britain. Wort is held in this vessel until the previous brew has emptied out of the copper and from which much energy in the vapour has been recovered to the Energy storage plant. On transferring from holding vessel to copper, this energy is used to heat the next brew to just under boiling point. Sometimes referred to as the Wort Kettle but we prefer the traditional name. Hops are added here to impart bitterness and other flavours. The wort is boiled which sterilises the wort, coagulates protein, extracts the useful components of the hops and evaporates off some unwanted flavours. Hops in UK are mainly grown in Kent, Worcestershire and Herefordshire. In the copper we use mainly hops from these areas. Hops provide bitterness and other flavours and assist in extending the keeping qualities of cask conditional beer. Hops used in the Hopnik provide particular flavours and aromas which come from varieties grown all over the world including the UK. Each variety has its own individual flavour profile. Sometimes a blend is used, sometimes just one variety, in order to produce a beer of the desired character. This is a recently designed vessel and Robinsons are the proud owners of the largest hopnik in the world! It is a very specially designed huge strainer which allows us to extract many of the great flavours from “leaf” hops that in conventional breweries get boiled away rather than finishing up in the beer. This is especially important in ales. The plant is designed so we can use it or not as we please, so existing beers can be brewed to existing recipes whilst new beers can be brewed using particular hop varieties to impart distinctive and exciting flavours and aromas. These can be used to dig into the soil and are popular with allotment holders and gardeners. They are great for improving the tilth of the soil and retaining moisture in the summer. They only rot down slowly so the benefit is long-lasting. This is a circular vessel, the wort entering tangentially; thus the wort rotates. During boiling, proteins coagulate and these and the remains of the hops move to the centre of the vessel as a result of centripetal force. The bright wort is drawn off, leaving the solids, known as ‘trub’. As this is protein rich, the trub is saved in a small tank and ultimately mixed with the spent grain. This is a counter current plate heat exchanger. Hot wort passes through alternate spaces between stainless steel plates, in one direction. In the intervening spaces, cold liquor is pumped in the reverse direction. Thus the hot wort emerges cold and the once cold water emerges hot. This is recovered for use in the next brew. This saves energy and water and reduces waste water. Yeast is now added to the cooled wort. The vessel is only about three-quarters filled as during the next five days or so, the yeast multiples rapidly forming a large head. When complete, almost all the sugar in the wort will have been converted to alcohol and at last we can now call the product ‘beer’. However it is still very cloudy due to the yeast. In cask beer, the addition of finings will cause the yeast to settle out. For all other forms of packaging, the beer will be chilled, matured and filtered before kegging or bottling. 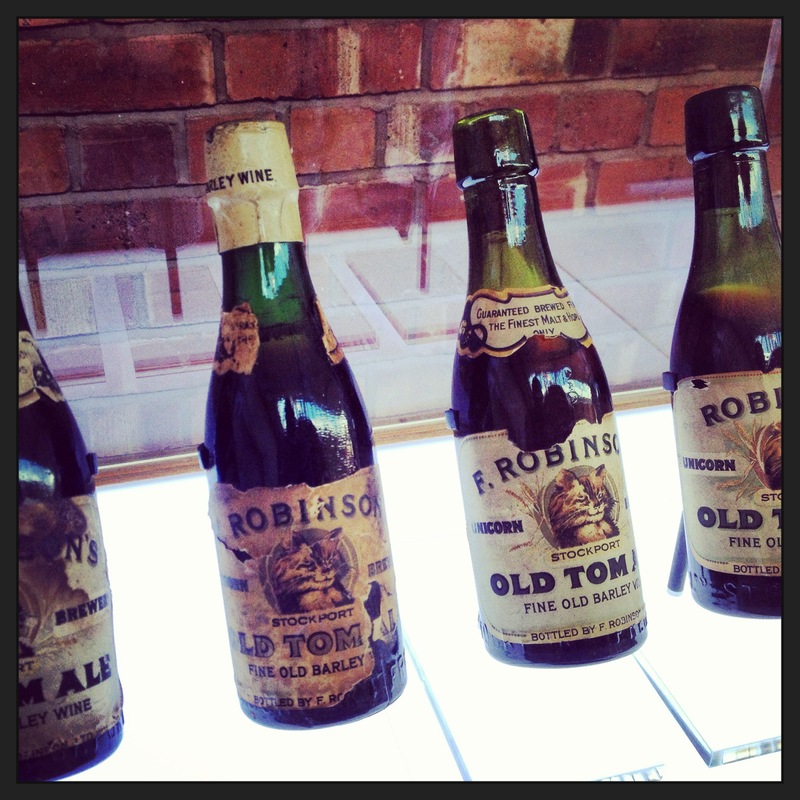 Old Tom is supplied to some pubs in cask, but is also available in distinctive bottles in both pubs and supermarkets. Recognised as one of the most famous strong ales in both national and international worlds, receiving Gold for the award of Worlds Best Ale at the third annual World Beer Awards. They also won at the same ceremony the recognition of the World’s Best Dark Ale, The World’s Best Strong Ale and the Worlds Best Barley Wine. It also boasts awards from CAMRA as the Supreme Champion Winter Beer of Britain three times at the National Winter Ales Festival. Aromas of fresh malt hit your nose straight away following by an instant mouth-watering effect of the rich malt that combines with a deep, almost port-like flavour. A well-balanced after-taste of bitter hops and dark cherry fruits gives it a lasting flavour. Developed by Robinson’s with the renowned chocolatier Simon Dunn. Aromas of chocolate dominate the nose and upon taste, a sweet and an almost fresh chocolate palate. A hint of hops and a slight roasted malt flavour linger. A combination of Robinsons Old Tom and Fentiman’s Ginger Beer, which uses a traditional recipe dating back to 1900. On the nose, a soft ginger aroma with a slight fresh malt following close behind. The ginger becomes a base figure on the palate and presents itself in a slow burst of flavour. Hints of cherry fruits with a slight sweet yet more bitter balance of the hops follows until a smooth ginger after-taste that leaves a slight tingle in the back of your throat. A seasonal offering. A rather warm, floral mix of toffee and spice on the nose, with a rich, hoppy biscuit taste on the palate. Unfortunately no longer available. Designed by Manchester band Elbow. The nose enjoys a slight bitterness with fresh hops mellowing their way down. The palate gets a slow burst of sweet fruit with only a hint of bitterness on the tongue. A fresh, slight citrus note, lasts long on the after-taste with malt flavour staying on your lips. Inspired by the use of Amarillo hops from the States. Fresh malt nose with a high aroma of zest that follows soon after. Rather light on the palate with the zest coming through and creating a crisp yet slightly dry ending. Brewed since 1896. A slight dark malt on the nose with hints of spice making a presence. Soft on the palate with a smooth offering, but changes between a slightly bitter and sweet flavour profile. Seasonal offering. Fresh and light on the nose with the fruity hops dominating. A light malt flavour on the palate, the fruity hops coming through soon after to develop a crisp finish. Unicorn’s younger brother. A combination of malt, roasted nut and caramel on the nose allowing a sweet palate of the three with a rather hoppy, dry end. Brewed for Marks & Spencer in conjunction with chocolatier Simon Dunn. Caramel and deep chocolate aromas on the nose with a slight sweetness following. Nice kick start on the palate with the bitterness mellowing into a milk chocolate and smooth vanilla that lingers slightly. Lemonade citrus and fresh ginger dominate the nose and palate, with lots of fiery ginger coming through near the end. Very hoppy, although a low carbonation. Brewed for Marks & Spencer. Toffee, dark fruits and fudge aromas on the nose, with a scent of sweetness following. Well rounded flavours of the toffee and dark fruits that result in a smooth offering with a slightly roasted after-taste. Treacle aromas dominate the nose with fruits and malt making there way through slowly. Rather rich on the palate with dark chocolate and roasted coffee presenting themselves. Slightly burnt feel with a dry finish. Fresh, soft malt with citrus dicing through near the end. Well-balanced onto the palate, edging more onto the malt, creating a mouth-watering effect that lingers with subtle hops. Long. A limited edition expression which is a modern take on a recipe that dates back to the 1850’s. Rich hops on the nose with a thick, toasted note coming through. Soft, sweet flavours of caramel on the palate, with subtle cocoa resulting in a thin finish of honey. A golden lager, the nose gave a ripe, fresh lemon aroma whilst the palate enjoyed a crisp, sweet flavour with a lingering freshness. With Kashmiri butter chicken curry, it became very smooth with a crisp tingle on the tongue and a slight dryness near the end. Lemon lingers both times. A ruby red ale, a rich roasted aroma on the nose with hints of dried chocolate slowly following. The palate enjoys a very light, rather hoppy feel with fresh citrus flavours. With Jim Beam marinated rump steak (medium rare), the malts blended well with the Jim Beam bourbon flavours, and created a long flavour profile of chocolate and toffee, with the citrus creating a slight sharp ending. A golden ale, a rather soft corn scent on the nose, but develops into a zest dominated finish. Instant fizz on the palate, light with a crisp refreshing finish. Slight bitterness. With chicken pieces drizzled with mushroom and onion sauce, the chicken developed more flavour alongside the citrus zest, with the bitterness slightly counteracting the sauce to create a well-balanced feel. A rather extensive portfolio they have, and I’ve only personally gone through around half of it. I still have names such as Double Hop and Hartleys to sample and hopefully enjoy. Robinsons cover all aspects of the consumers idea of an ale. From award-winning and high strength in their Old Tom, to roasted stoat in Cheshire Black, Golden Zest in Dizzy Blonde to the premium Unicorn and the future of beer and food matching with ‘A Beer To Go With . .’. With this, my love of ale can sometimes be centred around one name, and almost a fail safe to an extent. Like I mentioned at the beginning, I will always try something new, especially if it is local, but when you have a brewery who ticks all the boxes, and has a hell of a family history to match, sometimes familiarity can get you the furthest. You can purchase the majority of the Robinsons beer range here as well as in selected supermarkets. Check out the rest of the photos of there new visitors centre and brewery via my Facebook page. You can also find photos of the ale’s themselves here. © David Marsland and Drinks Enthusiast 2016. Unauthorized use and/or duplication of this material without express and written permission from this blog/sites author and owner is strictly prohibited. Excerpts and links may be used, provided that full and clear credit is given to David Marsland and Drinks Enthusiast with appropriate and specific direction to the original content. straightened with force, it goes right back to the bowed position.
. Liver function is not the only body part affected by alcohol. Also, combine with this a good healthy eating plan. a period of inactivity were those that benefited the most from regaining an excercise routine. the foreign currency option is either offset or expires. Sit up straight then tilt your chin up toward the ceiling. to know is that there is know right answer, and you must approach your own fitness plan in a case by case assessment. all over it. This makes the seller seem more transparent, it makes the buyer more educated and it creates a personal bond between the buyer and seller. Arrangements can then be made with the funeral parlour with regards completing official forms. Don’t rely on commercials and billboards – they take up too much money and just aren’t as effective. You are making me feel very homesick, c’mon Robbie’s get your act together ! I’m a High Laner living in the Outer Hebrides. We have everything but decent beer.